Looks like some minimalist monochromatic paisley, for those old enough to remember what that is. As for ARKit, I would not be surprised that if there is indeed a 10th anniversary edition iPhone, it might have some unique hardware (3D IR scanner?) that will take particular advantage of this in a way that could have a deep impact and make a significant change, not quite like the first iPhone but possibly a game changer. And as usual, competitors will pan it as they rush out to come up with their knockoffs. 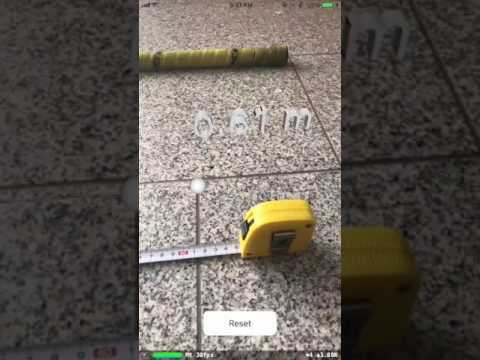 I like the idea of a virtual tape measure but I still want to have an app you can hold up to some notice or sign in a foreign language and it translates it for you in real time. 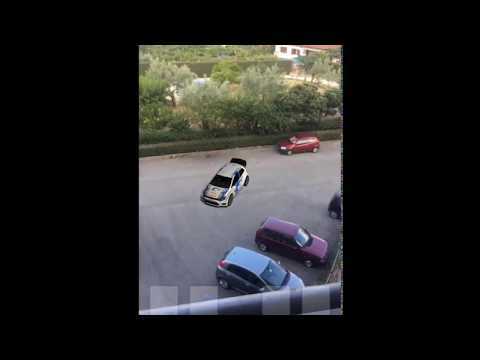 I've never thought much about augmented reality, so I don't know what kind of tricks it can do to be useful but it definitely seems exciting. Apple should have some advantage as the last couple of generations of iPhones should be powerful enough to run AR apps. Maybe AR will give new life to an updated iPod Touch. Most Android smartphones will be relatively underpowered and rarely get OS updates, so Alphabet might have a hard time getting their AR apps to work on those myriad older Android smartphones. Thank goodness for Apple's 64-bit A-series processors being as powerful as they are and Apple's frequent OS updates for older devices. 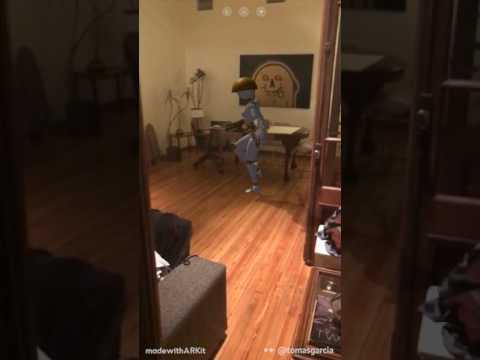 I'm anxious to see what the killer AR app will be. I can't even imagine. I can just see Google announcing some kind of hashed out ARKit knock off when they announce their new line of Pixel smartphones with them saying "and only available for the latest Pixel phones!" thus alienating almost the entire Android base. Very excited about HomePod - but a six month wait seems excessive especially for Apple. Not sure sure why they felt compelled to announce it so far in advance. I expect a flood of cheap knock-offs and me-toos will hit the market before or concurrent with its release. As Bartfat said, the Google Translate app has done this for years and works pretty well. I've used it (and the original Word Lens app) in Holland, Germany, France and Spain over the years when in shops or when looking through restaurant menus etc. The translations can be a tad sketchy (a bit engrish) sometimes but you get the gist and it's instant. Who's paying for ARKit? It's free. And it's also a mobile development platform. Apple may have been stubborn to support the latest GPUs on desktop but they are leading edge in the mobile world. The measuring app is an example of something practical. You always have your phone with you but hardly ever a measuring tape so if you buy clothes or shoes and need to know how big something is or even what size you are, you can use the phone. It should be able to measure waist, chest sizes, leg length, head size for hats. This is useful for online shopping too, people can send foot profiles to get the right shoe sizes. There are scanners for this already but hardly anyone is going to want a dedicated scanner. It can measure packages for shipping costs too, just point the phone at a box and it can determine width/height/length. 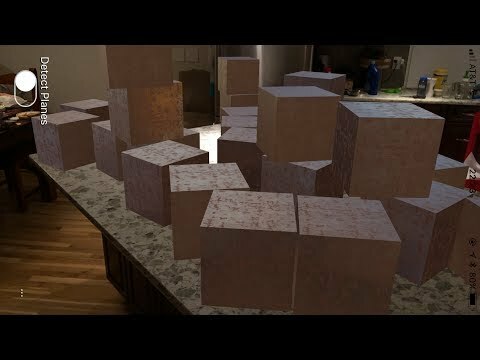 ARKit looks like best of breed. I think Apple will have some other device some time to make it work. I can't help but think we will have glasses. I mean I cannot imagine any other device where AR would make the most sense. AR is best if it's right in front of your face and while AR is nice on a phone, it is a bit distracting. Didn't kids fall off cliffs while playing Pokemon Go? I expect a flood of cheap knock-offs and me-toos will hit the market before or concurrent with its release. The HomePod with 7 tweeters, 6 mics, and 1 A10 chip will be 'difficult' to knock-off. If paisley is really coming back, why doesn't someone just make Julia set fractal clothing instead? Looks close enough to your average paisley design while remaining unique.